The Recorder had home family cine and camcorder movies saved to the hard rrive over the years. 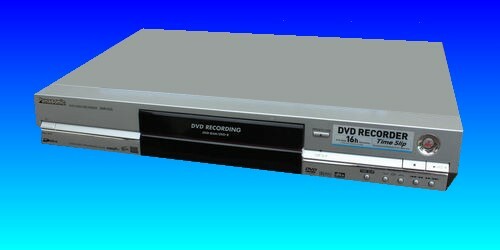 This Panasonic HDD DVD video recorder was sent to us to recover video from the internal IDE 80gb Samsung hard disk. The Panasonic Video recorder failed to start up with self check not complete error being shown on the LED display. The client said ... Thank you for the recovery. You are gorgeous! It would have been so sad to have lost our memories. If you need a Panasonic Video Recorder Recover Home Movies from Camcorder service, then contact our friendly company. The Recorder had home family cine and camcorder movies saved to the hard rrive over the years. This Panasonic HDD DVD video recorder was sent to us to recover video from the internal IDE 80gb Samsung hard disk. The Panasonic Video recorder failed to start up with self check not complete error being shown on the LED display. The client said ... Thank you for the recovery. You are gorgeous! It would have been so sad to have lost our memories..